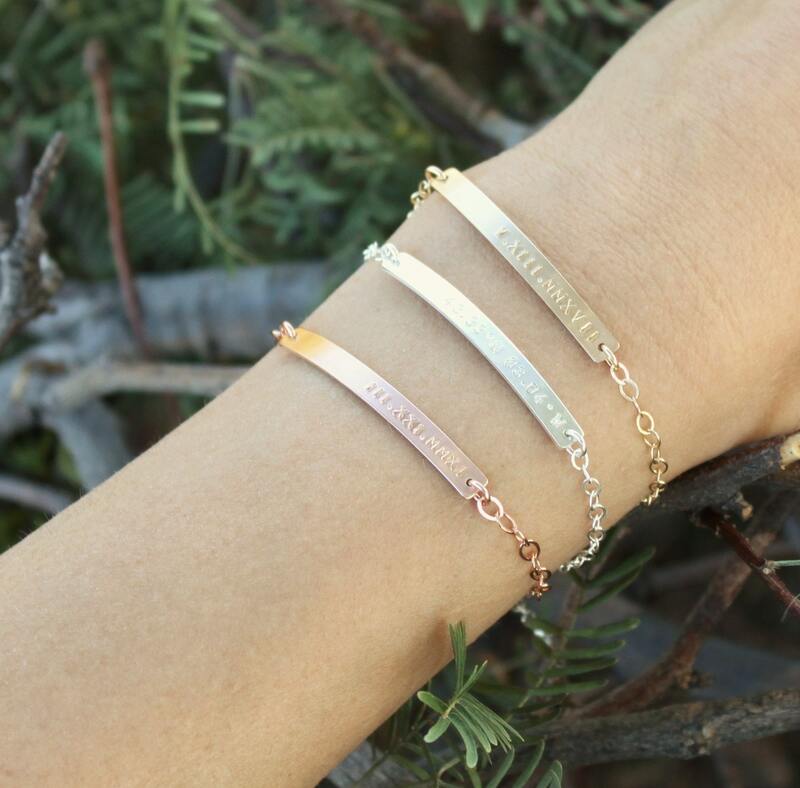 This beautiful customized bracelet is meaningful and stylish. 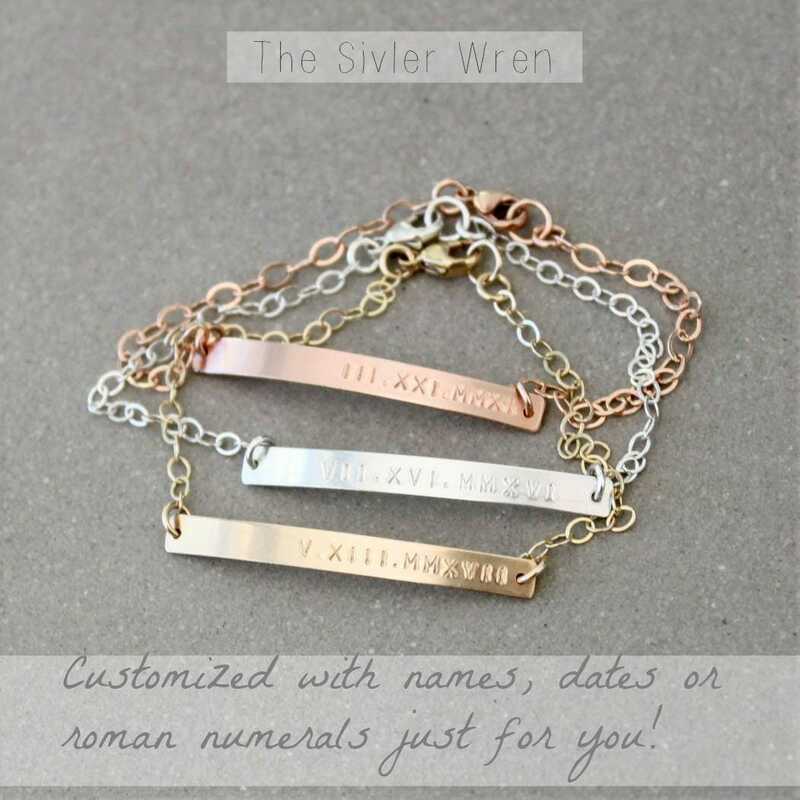 This is the perfect for everyday, choose to wear your favorite name, date, roman numerals or coordinates. 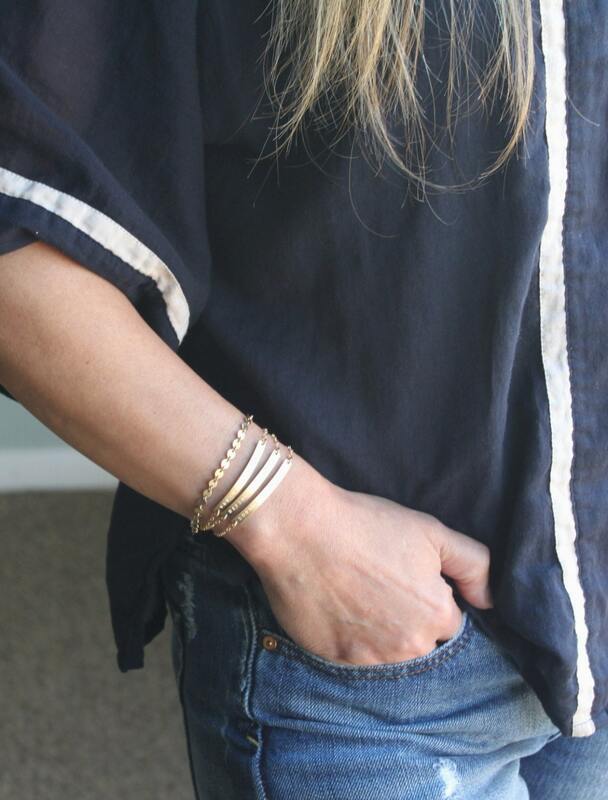 -Bar and chain are high quality 14kt gold filled, sterling silver, rose golf filled - not plated. 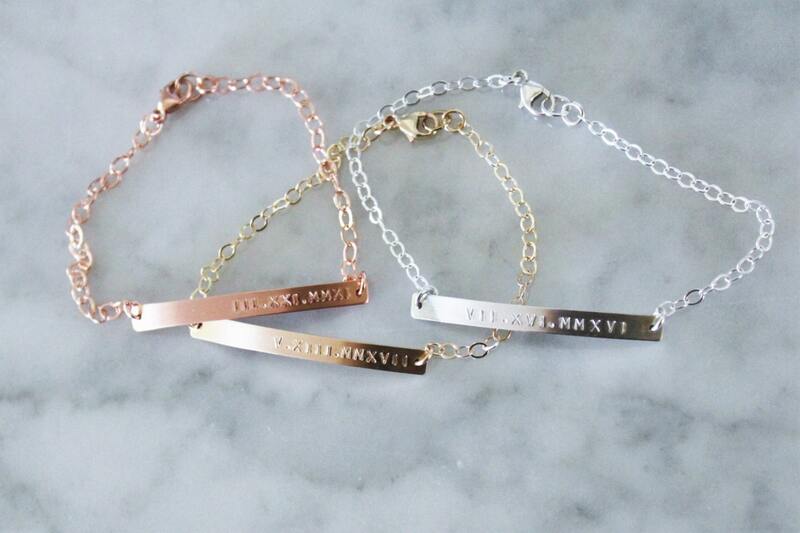 -Your choice of text up to 18 letters on front only. -Text is justified to the right unless requested to be centered. Name and date are separated on each end of the bar. 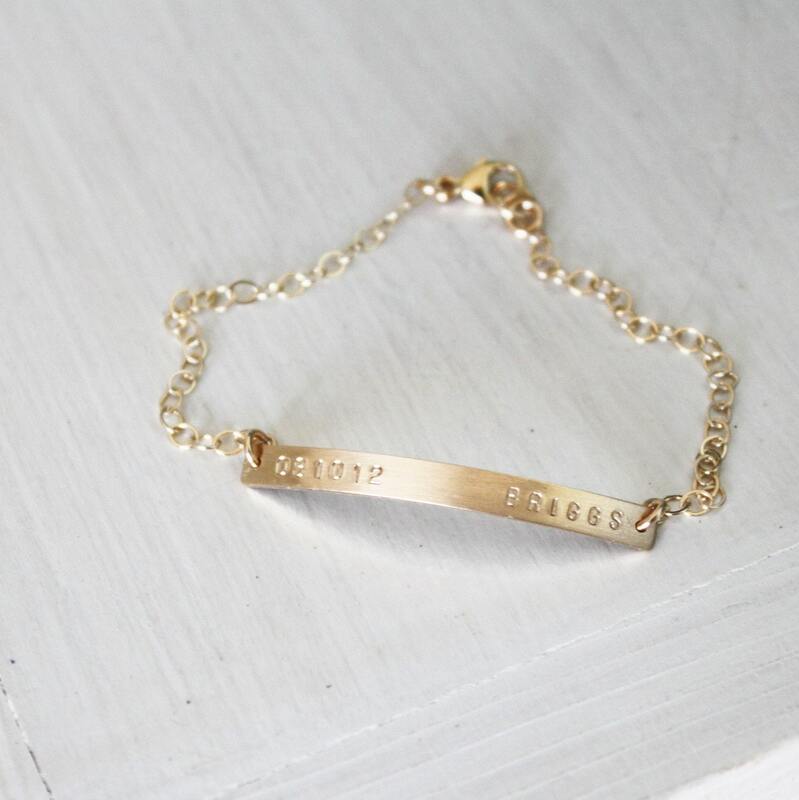 I bought this for a friend who was moving out of state, and put coordinates of one of her favorite places in town. She loved it! Fashionable and sentimental. My favorite :) Thank you!